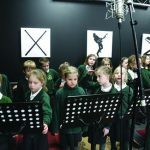 The Woodpeckers had a fantastic time at the XYZ Music Academy on Friday 15th March. 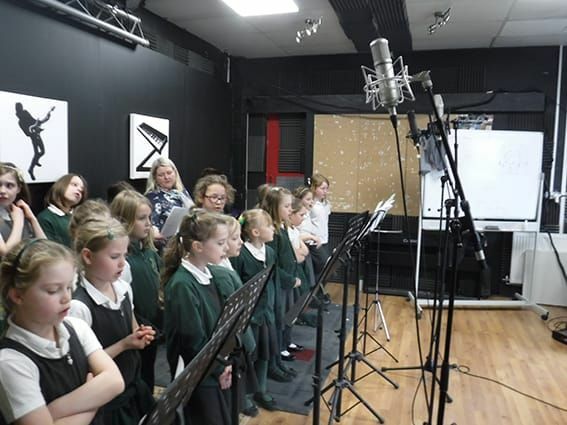 The day started off with a tour of the studios where the children were in awe of the amazing building – doors weighing 100 or even 200kg to keep them soundproof and even bullet-proof windows to help with the sound. 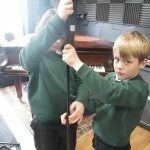 After a quick tour, the children got down to business – how to work in music, help with the engineering of microphones and learning about the science behind music. 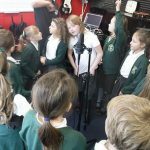 Two workshops ran simultaneously where children learnt how to set up microphone stands and place them correctly around drum kits and wire them into the sound system which snakes through the whole building. 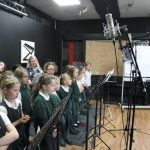 The other workshop went through how different microphones are used for different sounds – their scientific knowledge helped them understand all of this. 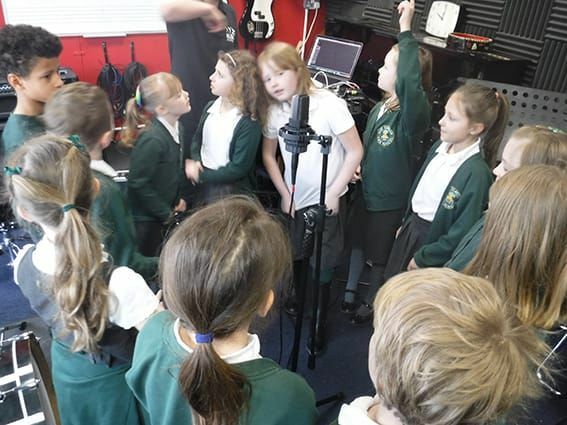 After this, the children learnt how to mix music, using technology to alter music and make it sound its best. 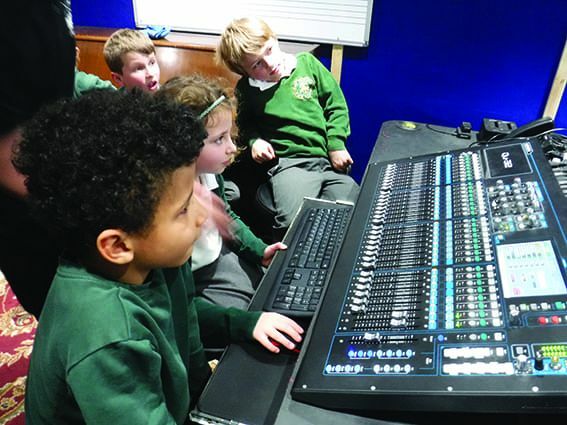 They also had a look at sound effects and how all sounds we see/hear on television are probably fake! Wind wouldn’t actually be wind but the recording of fans inside! Following the workshops, we were joined by the Swallows. 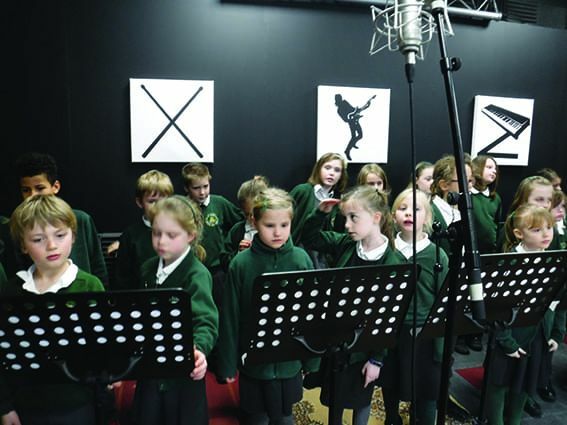 All children in the Woodpeckers recorded two songs that they had chosen and had been rehearsing in school – ‘Come Alive’ from The Greatest Showman and ‘Believer’ by Imagine Dragons. 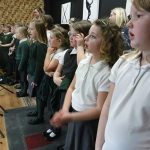 The children sang their hearts out several times to give the best performance. 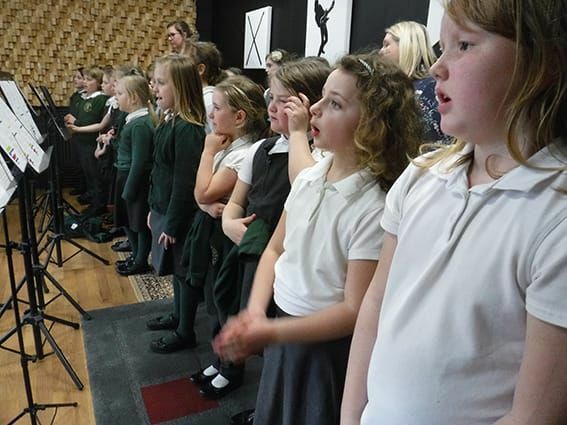 Some children even delivered solos which will be mixed into the final recording. The Swallows recorded a very upbeat version of ‘Uptown Funk’ by Bruno Mars which will be accompanied by a lovely dance. 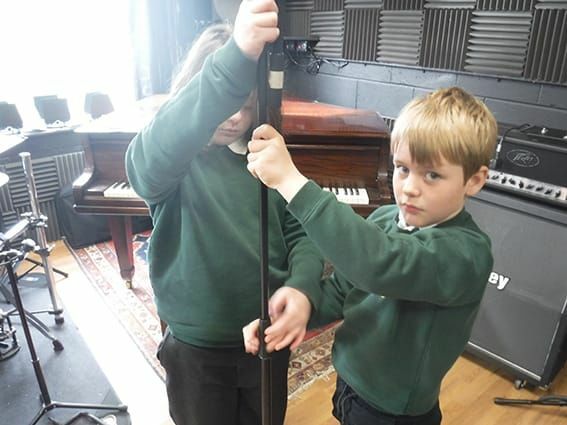 We have left all of our recordings in the capable hands of Duncan and Connor to polish our work and make it ready for the school concert on the 28th March. 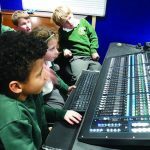 This entry was posted in Latest News on 18th March 2019 by Rachel Seago.